As your Boca Raton dentist, I am dedicated to providing you with the personalized and gentle care that you deserve. Are you looking for an affordable dentist in Boca Raton? I practice dentistry with passion and integrity, and I continuously strive to offer a great dental experience that is affordable, interactive and effective. 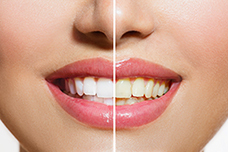 We believe that high quality dentistry should not be expensive, so you if you are looking for a low cost dentist in Boca Raton, we recommend giving us a call! From the moment you walk through our door, you will be greeted with a kind smile and a warm welcome. From there, out team will get to know you, review your medical history, and hear your concerns. 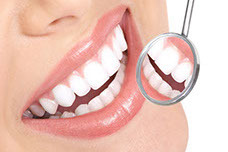 Dr. Michael Pechan, your dentist in Boca Raton, and the rest of our skilled team of professionals will take the time to listen to your questions and answer them and provide information and education so that you can make an informed decision about your oral health and your customized treatment plan. We promise to deliver the highest quality of patient care and maintain a consistent and cohesive working environment to support and respect each team member while respecting our patients’ values and helping them to achieve optimal oral health. Do you want to know the secret behind some of those stunning set of teeth? Porcelain veneers! Dental implants are a remarkable new innovation – the closest science has come to replicating actual human teeth! Your smile may very well be the most important part of every first impression you make, and you want it to look its best. The most common culprits are usually cigarette smoking and deeply colored beverages like coffee, tea, and red wine. Brittany was the best hygienist I’ve ever had! She was very knowledgeable and I only want to see her when I come here! The dentist is fun and thorough! I’m glad my friends recommended this amazing office! Very good environment and extremely good staff. Everyone treats you extremely well and service is top notch. Highly recommend to get your teeth cleaned here. I’ve been going to Elite Boca Dental for at least 2 years and I always receive a warm welcome. They remember me for each of my 6 month cleanings and it’s always the same staff. Found them when I had minor dental emergency and like them stop much I switch dentists! Just had my first regular appointment and have no idea what I was missing. Great people, great technology, great hygienist (Brittany) and wonderful Dentist. I will be back. Would highly recommend and have many times! This office recommended by my dentist from NY before I moved to Florida. What better recommendation for a dentist than from a dentist?? Great office. Brittany cleaned my teeth, did an amazing staff. Doctor P., was courteous and professional. Thank you Elite Boca Dental. I’m very happy using Elite Dental Boca Raton for the last 2 years. I finally found a dentist, hygienist and office staff that make you feel comfortable. We have been coming here since we moved 2 years ago. Brittany is wonderful and makes my 2 young kids feel very comfortable. I can’t say enough positive comments about the entire staff at Elite Boca Dental! Extremely profession but yet personable.